After a relaxing breakfast at IHOP in Oklahoma City, we hit the road again. This time our destination is Russellville, Arkansas. Our normal departure time is around 9AM. This puts us on the road behind the rush hour traffic. 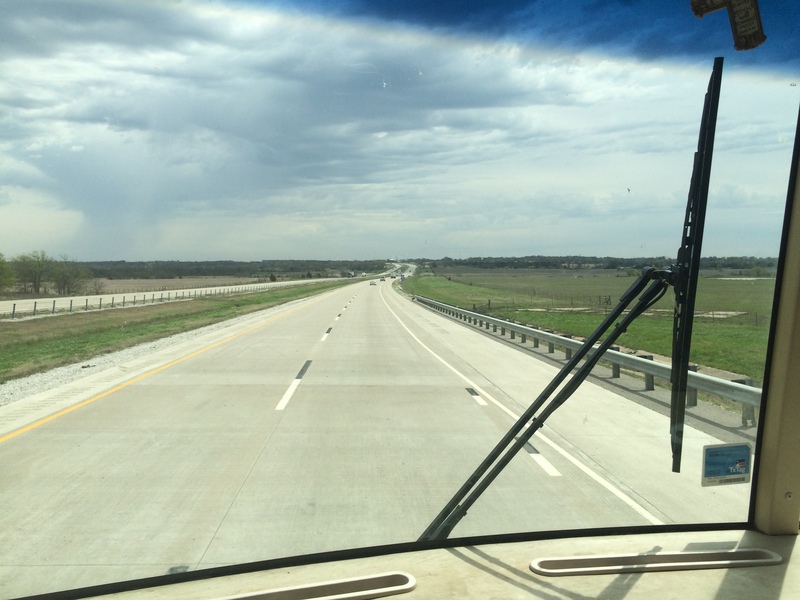 Between Oklahoma City and Russellville, there are miles of what we call “straight and flat”. Now for some folks straight and flat may be desirable but to me it is extremely boring. Occasionally there may be something off to one side of the highway but in most cases, it is just plain boring. OK, maybe not so boring. There are curves on this highway. After miles of straight and flat, curves are a welcomed sight. We generally stop at a road side rest area for lunch. Even with our slides pulled in on the RV, we can still access the kitchen area and bathroom. It is very convenient to pull into a rest area and take a lunch break. We arrived at Ivy’s Cove RV Retreat to find the office locked. The owner left a note on the door to take any empty site. This is common when pulling into smaller RV parks. 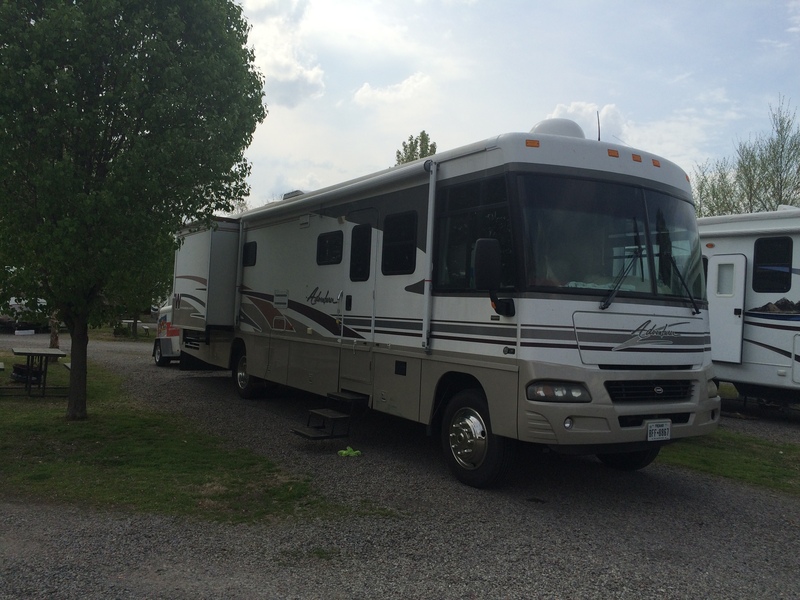 There is a level of trust that RVers will adhere to an honor system. When the owner returned I went to the office to register. Our neighbors were a couple of men from The Netherlands traveling from Chicago to Las Vegas. We meet the most interesting people while we are on the road. We were concerned about the weather again since. The owner said storms from Oklahoma tend to go north of town. He did not expect anything worse than some rain for the night. Carol and I decided to go into town for pizza. She found a place called Brick Oven Pizza. Our pizza was very good. 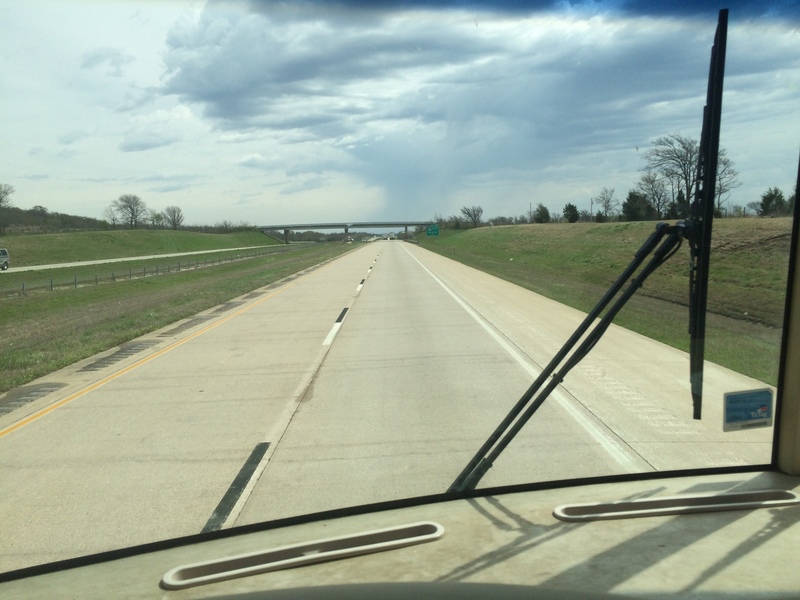 This entry was posted in Arkansas, Oklahoma, Travel and tagged Russellville. Bookmark the permalink. There’s nothing like the open road of I-40. I normally sing my heart out and play an estimated arrival time mind game. It keeps me sane. Have a safe trip.